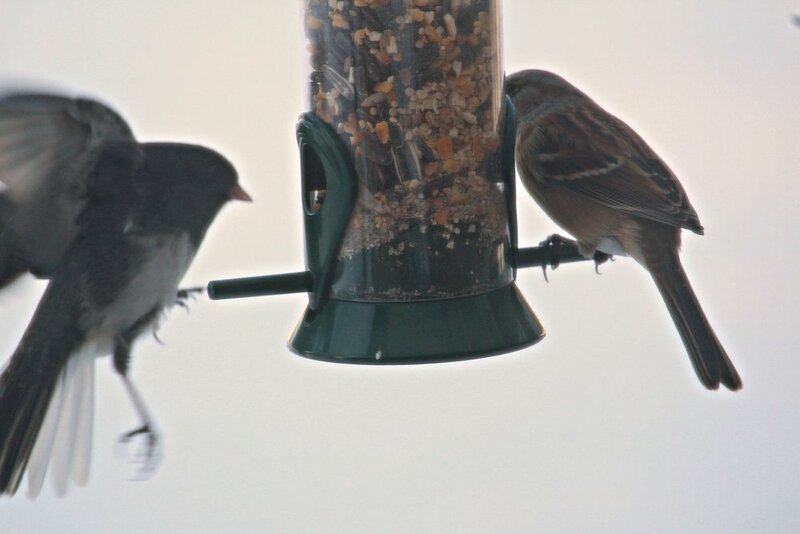 ♡ the bird-feeders outside my study window...for the delights and wonder of my feathered friends. I got a zoom lens for my camera for Chrimbo (thrill!!) so stay tuned for more of my amateur enthusiasms. :) These were shot through the window because, apparently, -27C isn't an appropriate temperature for taking photos outdoors. ♡ letters...real ones...written and received. I can't even begin to articulate how incredibly wonderful it's been during these last, horrid, weeks to find letters in the mailbox...and to sit down and reply has been just as comforting. ♡ fountain pens....another attempt to Do Better.....refilled with ink in walnut and raven-black. I fear that fountain pens, along with paper/cards (oh, and washi tape!) could become fearsome in their addictive properties. ♡ beeswax candles....despite the temperamental beginnings of wick trims and wax-squashing (which ensures long life and happy wicks). The mingled scent of beeswax, coffee and incense never fails to ease me into analogue bliss, no matter how fraught or ragged my nerves. They're somewhat pricey (for pure, local beeswax) but they last a long time and so I save my pennies. ♡ receiving blog posts by email....any way to avoid the eye-strain of Bloglovin is happily seized. As such, I've done the finagling required to get updates from this blog directly into your inbox, should you fancy. The sign-up thing will be at the bottom of each post. Hopefully, it works. ♡ a digestive system not beleaguered by dairy or gluten...which means I can have large dollops of (organic) milk in my tea and coffee and eat hideous-but-so-delicious pastry confections when I'm feeling particularly like I need to eat hideous-but-so-delicious pastry confections. Oh, sure, it would be better if I didn't but really, right now, it's the small things that are keeping me just this side of lunatic. Small gratitudes that are, I find, not so small after all. And you, Dear Reader, what sustains you, these days?